JPM Contractors Ltd are proud to announce the sponsoring of two wonderul little puppies that will hopefully one day go on to benefit that lives of people that have a need for this type of support. This is the beautiful AMY that will one day go onto to enrich the life of a person that can truly appreciate the help that AMY will have to offer. If you would like to read more or get involved please follow the link here. Amy is a very loving little guide dog puppy who loves to make friends and be the centre of attention! Playing in the garden is one of her favourite hobbies and she would love for you to sponsor her today! That’s because you’ll be getting her off to a flying start with her training to become a guide dog. 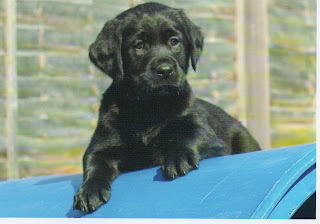 You can even sponsor a guide dog puppy as a gift for someone special. This is ANGUS, he looks like he will one day grow to be a strong and caring companion for a person that will truly benefit from his strength. If you would like to read more or get involved please follow the link here. Angus is a delightful and very handsome little guide dog puppy who loves to play! He loves to have fun with all his other little pals, including his sister Amy, and would love for you to sponsor him today! That’s because you’ll be getting him off to a flying start with his training to become a guide dog. 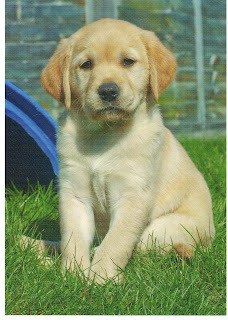 You can even sponsor a guide dog puppy as a gift for someone special.